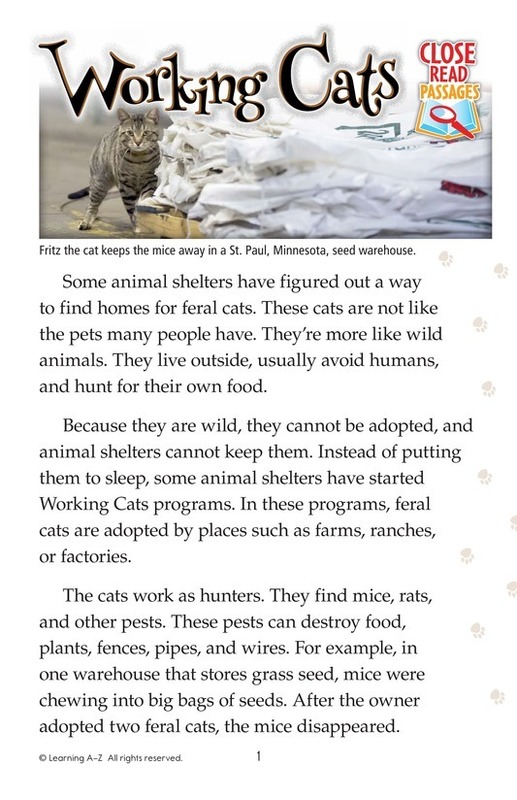 This persuasive passage discusses a program used by some animal shelters to find homes for feral cats. The cats are put to work on farms, ranches, and factories to hunt mice and other pests. In return, they are cared for and given shelter. 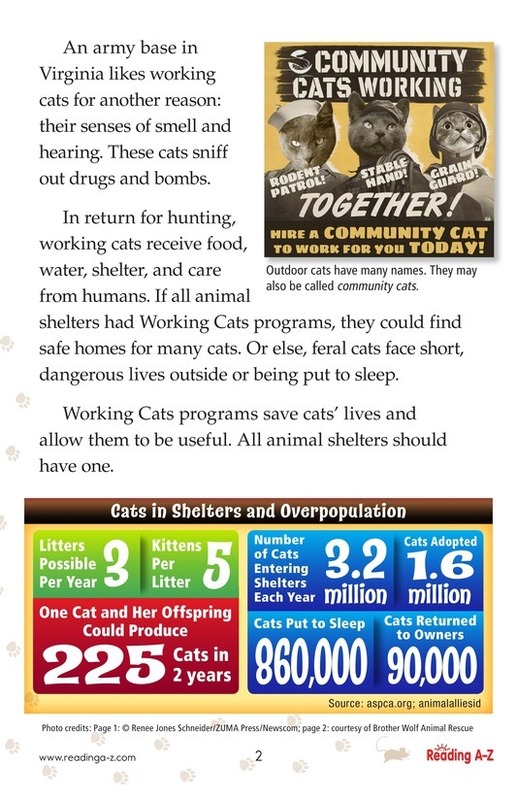 These programs save the lives of many cats and are recommended for all animal shelters.